← Complaint handling: Do you correctly recognise ‘Urgent Complaints’? 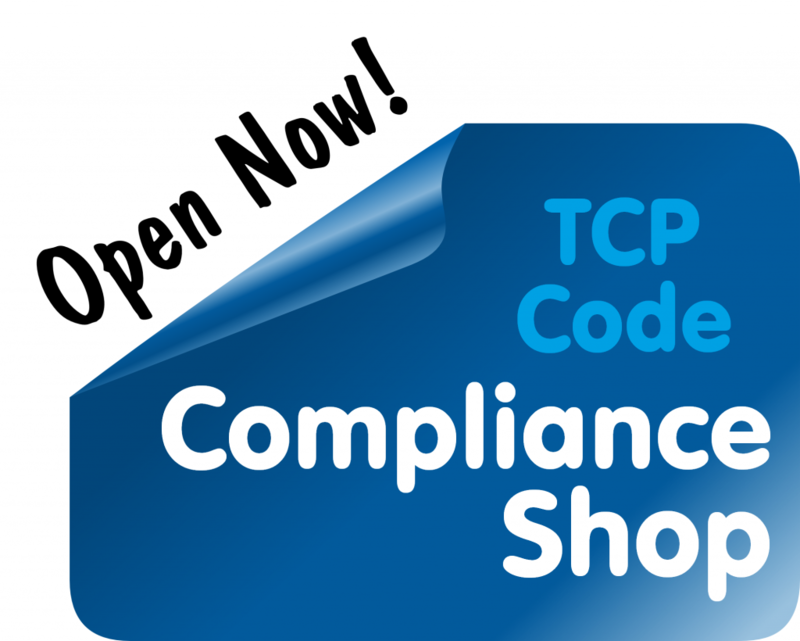 In other words, ACMA is looking to Communications Compliance to provide the industry’s proof of the pudding when it comes to TCP Code compliance. If telcos are serious about their commitment to a new reality — because that’s what the TCP Code demands — they’ll witness that via their own industry’s code monitor. The implication is that if telcos don’t take Comms Compliance seriously, they don’t take the Code seriously. 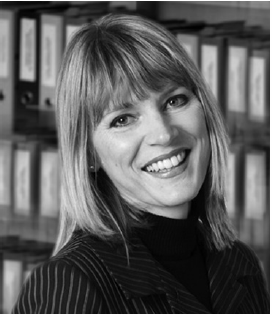 To understand ACMA’s attitude to the TCP Code, Communications Compliance and industry self-regulation, it’s worthwhile reading a punchy speech given by ACMA General Manager Jennifer McNeill when the Code was launched. Here’s General Manager McNeill’s speech in full. It’s worth reading before you decide on your response to the TCP Code and Communications Compliance. My thanks to John and Communications Alliance for the invitation to speak today. I’m pleased that I’m still on the guest list after the extensive interactions that have taken place between our organisations on the TCP Code over the past year. I’d like to take this opportunity to thank John for his responsiveness to the ACMA’s demands during the code development process and his openness to engage in discussions with regulators and consumer representatives. I give John great credit for his powers of persuasion in bringing industry so far. Code development is a multilateral process and it places considerable demands on Communications Alliance and its staff. So, I’d like to particularly thank Christiane and Margaret at CA for all of their hard work on the TCP Code. Now that we have a code in place, the next task is implementation. Just as code development is a multi-party process, so too, fostering code compliance is a shared responsibility. And ACMA, as the ultimate enforcer of the code, has a key role to play. Good corporate citizenship and a sense of social responsibility may be a sufficient compliance incentive for some providers—but not for all. At the ACOMMS dinner last week, John likened the ACMA’s persistent, dogged pursuit of particular outcomes in the TCP process as sticking like ‘porridge to a blanket’. Can I signal that there is more dogged persistence to come? The ACMA Chair Chris Chapman has indicated that the ACMA will monitor industry’s progress and the code’s performance very closely. The ACMA will use its investigation and enforcement powers if participants do not to comply with these new Code obligations. And we will not hesitate to press for further change, if the Code does not deliver on its remarkable promise. The new Code applies very broadly. It applies to all carriage service providers, whether they offer fixed, mobile or internet services. It applies to network operators and resellers. It applies to providers of Voice over Internet Protocol services, phone card services and National Broadband Network retail services. If you provide services to residential or small business customers, the code applies to you. An example arises in the sphere of spend management obligations. Clause 1.5 of the code specifies that the obligations in clause 6.5.2 arise 12 months after registration for suppliers with 100K included value services but for providers with fewer services, those obligations commence 24 months after registration. The ACMA is empowered to enforce the Code. What are the ACMA’s code powers? If an industry participant breaches the Code, the ACMA has two formal enforcement options under the Telecommunications Act. Firstly, the ACMA can issue a formal warning. An ACMA decision to issue a formal warning is not subject to merits review. Secondly, the ACMA can direct a supplier to comply with the Code. A decision to issue a direction to comply with the Code is subject to merits review (first internally within the ACMA and then via the Administrative Appeals Tribunal). seek a civil penalty of up to $250,000 in the Federal Court. Over the next two years, you will see a change in the way the ACMA secures code compliance. The change was foreshadowed in the Reconnecting the Customer public inquiry final report (delivered September 2011). For those of you who don’t know, the RTC Inquiry examined customer service and complaints handling practices in the telco industry with a view to recommending changes that would secure material improvements for consumers. Historically, the ACMA’s compliance approach was to engage with and educate individual providers, quietly securing process improvements. It involved ‘auditing’ particular obligations and providers, brought to the ACMA’s attention by TIO statistics or through consumer consultation. In the course of the RTC Inquiry, that compliance approach was criticised as insufficiently vigorous. Apparently the industry want more investigations, more directions, more court cases. Well—the good news is that we have heard these criticisms and over time you will see a shift of emphasis from education to investigation, direction and prosecution. Already, the ACMA has commenced a program of visits to medium-sized telcos who are not CA members, to remind them of the new Code, its starting date, the new obligations it contains and to inform them of our expectations. We expect immediate compliance with the obligations that have, substantially, carried over from the current registered Code. Then, as each new key rule in the code comes into effect, we will focus initially on educating providers but quite quickly we will decrease education and engagement activities and focus more on investigations and enforcement. And the compliance culture that the ACMA encounters in service providers who breach their Code will be a critical consideration in the ACMA’s response. Remember, this is a Code in which some key new obligations have a staggered start. 1 September—the code will be registered and most obligations will commence immediately. the term ‘caps’ must cease to be used—even in the promotion of existing offers. 1 September 2013 clause 6.5.2 kicks in requiring usage alerts to be pushed out to consumers on certain plans with certain providers (in effect, small players are being given an extra 12 months to get their IT houses in order). September 2014—the small players become subject to the same usage alert obligations. When it investigates, ordinarily the ACMA will prepare a report on each finalised investigation and (subject to any legitimate publication concerns raised on a case by case basis) these reports will be published on the ACMA’s website. The reports will serve as educational vehicles explaining the Authority’s approach to the Code. But they will also serve the ends of specific and general deterrence. Some of you will have seen and/or experienced this change of approach already yourselves. The ACMA proposes to promulgate a public facing set of priorities, the scope of which we will make public shortly. Our enforcement priorities will be a living document responding to emerging and existing issues. However, in the first instance, my expectation is that our stated priorities will align with the priorities the ACMA identified in its Reconnecting the Customer inquiry. We will focus on ensuring that the mandated changes are delivered in practice, not just on paper. So—this might see us first focussing on complaint handling, particularly on ensuring providers deliver on the undertakings they make to customers when resolving complaints. The failure of providers to actually perform agreed actions has been one of the leading sources of TIO complaints for several years. Now, we have a TCP Code clause 8.2.1(a)(xiii) requires providers to complete all actions to deliver on a resolution promise within 10 days. We are also likely to have an early focus on advertising – both the inclusion of standard charging information and potentially misleading and confusing claims. We will be assisted in our efforts by clause 4.2.5(a) which obliges providers to substantiate their advertising claims or representations, when upon ACMA request. A provider who cannot substantiate its advertising claims, will breach the code. I expect we will also have an early focus on the important credit management improvements, particularly those concerning financial hardship, which industry has delivered, largely independent of the RTC. Next year, I expect that we will focus on the roll-out of Critical Information Summaries. Also at that time, we will probably receive our first referrals from Communications Compliance. CC is a self-regulatory industry body which aims to improve industry members’ compliance with code rules. It won’t handle consumer complaints—this remains the role of the TIO, or enforcement under the Telecommunications Act—this remains the role of the ACMA. CC is an industry initiative intended to encourage and demonstrate the industry’s compliance with the Code. The ACMA welcomes the CC initiative and looks forward to working with CC over time. We expect most of the early CC referrals will be about small providers not completing the required compliance attestations. This early focus on procedures (the attestation and audit forms) is a sensible starting point. Over time, the ACMA hopes CC will broaden its activities to include environmental scanning that gives industry and consumers’ confidence that there is an active industry presence that is educating suppliers and checking compliance. The ACMA is developing a Memorandum of Understanding with Communications Alliance to ensure an efficient process for referrals and response. I’ve spent most of this talk on the implementation of the Code but I would also like to refer to a further matter of ACMA interest, and that is Code evaluation. In particular, the ACMA is considering its criteria for assessing the effectiveness of the Code. The ACMA anticipates that the improved point-of-sale information (the Critical Information Summary) will alleviate some of the common causes of confusion and complaints. Similarly, the usage notifications should help to prevent excessive overspend on telecommunications products and the resultant bill shock. However, it is possible that the higher standards for complaint handling and the including of TIO details in Critical Information Summaries may lead to more complaints to the TIO as customers become aware of their new rights and start to exercise those rights. So, while TIO complaints will be one consideration in measuring success, they cannot be determinative. It is exciting from a regulator’s perspective that a number of the Reconnecting the Customer proposals have been implemented in the TCP Code and that many compliance issues will be highly visible—unit pricing in advertising, critical information summaries, expenditure management warnings and compliance statements. Any systemic failures to deliver in these areas should be obvious. And the world will be watching. This entry was posted in Backgrounders, Code Enforcement, Communications Compliance Ltd. Bookmark the permalink.